What is this counter thing and how am I helping to plant trees? Ecosia funds the planting of a new tree roughly every second. The personal counter in the top right corner represents the number of trees you've contributed to by searching with Ecosia. It takes roughly 45 searches to plant a tree. So how do searches translate into trees? Clicking on ads generates revenue for Ecosia, which is paid by the advertiser. 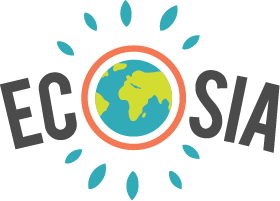 Ecosia then uses at least 80% of its monthly profits to plant trees where they are needed most – in Burkina Faso, Madagascar, Peru, Indonesia, Morocco, Brazil, Nicaragua, Ethiopia, Tanzania and many more countries. But what if I don't really click on ads? Even if you use an ad blocker or never click on ads, you still contribute to the movement by increasing the number of Ecosia users. The more monthly active users Ecosia has, the more relevant it becomes to advertisers. Can I sync my tree counter across multiple devices? There is currently no way to do this. But we're working on it! Great job guys, finally a worthy opponent against Google! Lets save the planet once again. Out of curiosity. Is it possible to say what type of trees are being planted in each area? Like Huarango trees for Peru or Baobab Trees for Madagascar? I would like that you consider plant trees in Colombia. That sounds pretty good. I'm happy to part of this. How come you don't plant trees in the U.S.? Why only those certain areas? Another thing I enjoy about Ecosia is the brief and concise way of presenting the information. Additionally, you can review every project and every detail of where and how are the trees being planted by looking at the websites of the many foundations this site helps with it's earnings. Please consider planting trees in Monterrey, NL, Mexico. That big, industrial city and business hub has a serious problem of pollution due to its horrid lack of trees and green areas. This is a great idea. We need more ideas like this ! thank you for all the people who support the ecosia org. hope theirs a lot of people who will support this type of organization.. best of luck!